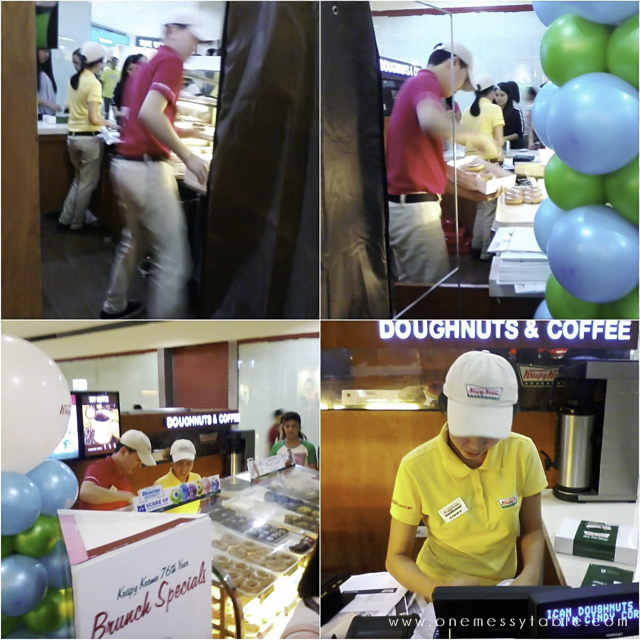 It's Krispy Kreme's Birthday today and I was among all people who celebrated with them. Yes, I screen grabbed and saved the voucher on my phone and got myself a dozen of Krispy Kreme Original Glazed doughnuts! Yay! I'm just glad that I went to their Market! Market! kiosk a few minutes earlier because the long queue went crazy 10-15 minutes after I got there! I was in line for more than an hour just to get their yummy doughnuts - I arrived at 11:40 AM and got my boxes at 12:55 PM. 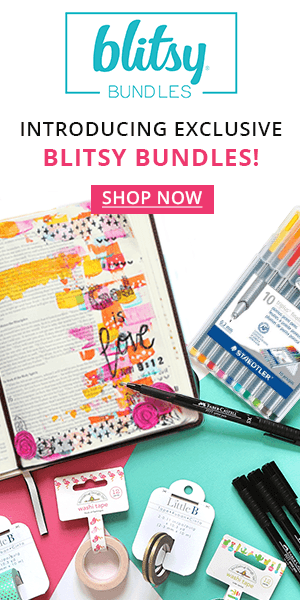 2 boxes (6 pcs. 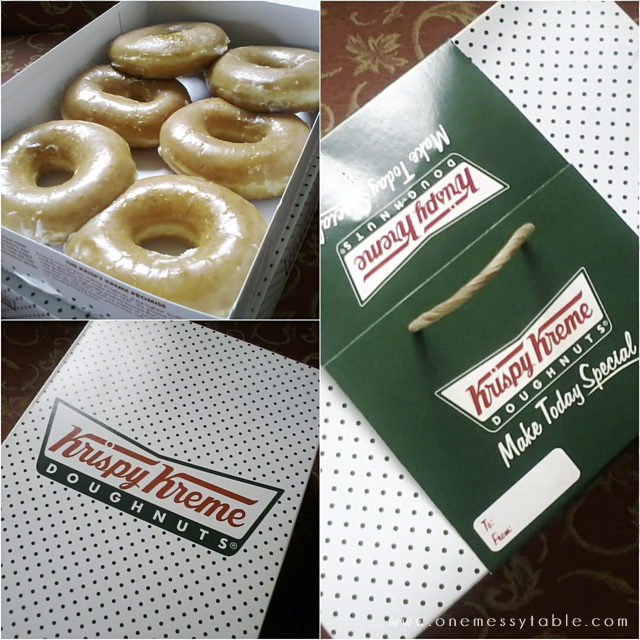 in each box) of Krispy Kreme Original Glazed Doughnuts for only Php152 as their 76th Birthday treat! The busy crew of Krispy Kreme Market! Market! I also bought their White Chocolate Vanilla Cookie Butter Doughnut because I wanted to get a taste of the famous Speculoos Cookie Butter. 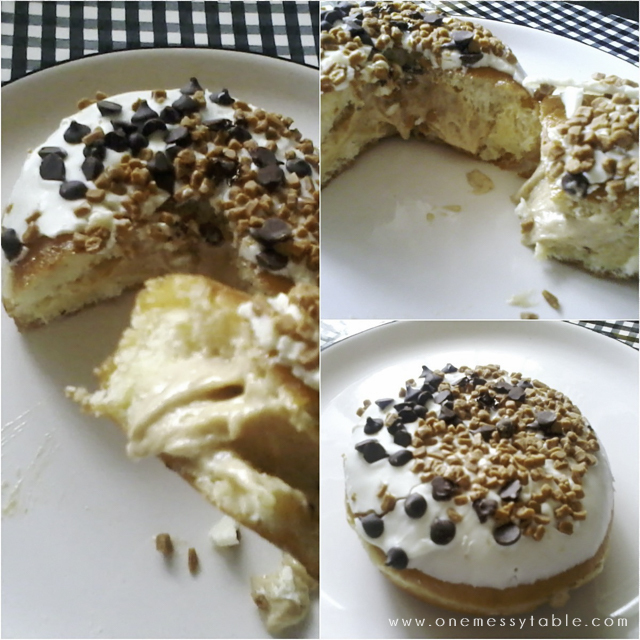 The price is Php45 and that Cookie Butter filling is so smooth and yummy! It was all worth it because I got to take home these goodies which my daughter really loved. 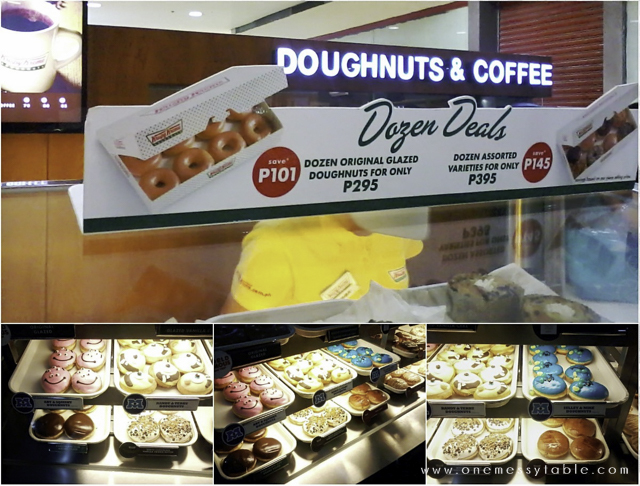 Plus, a dozen of their Original Glazed was only worth Php152, so it was indeed worth the wait.